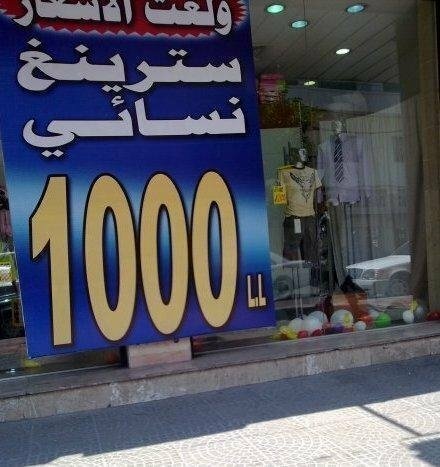 I don't know where I should post this pic in here or the only in Lebanon thread, but it's so funny! lol! ya 7aram 3al LF! ma 7ada bi ti2on lol! but why did he write string nisa2i anyone heard of a string for men ? What? Yeah you've never heard of the Male string?